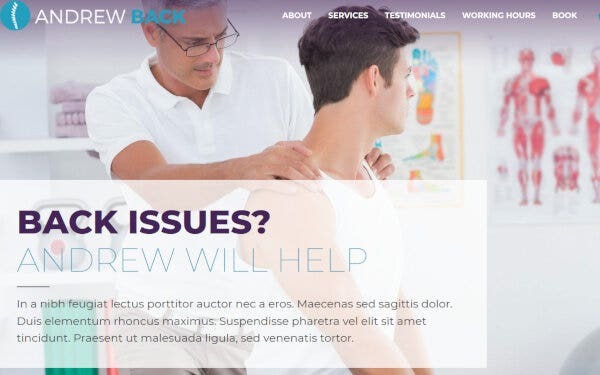 Finding the right theme for your Physiotherapy website is essential because not all WordPress themes are responsive and Service format integrated. 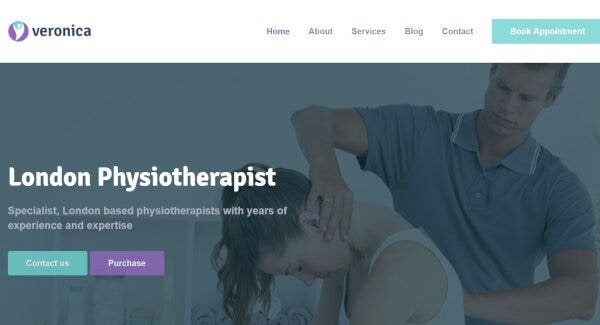 Browse this list of best Physiotherapy WordPress Themes & Templates which are collected to suit your work requirement. These themes will not only bring you on the same level with competitors but exceed. 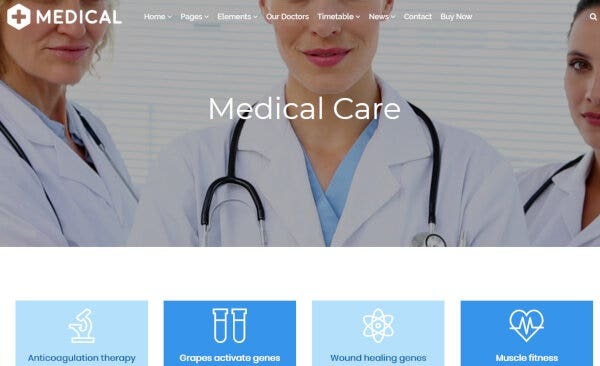 The Drag and Drop feature of this WooCommerce integrated medical/physiotherapy WordPress theme helps customize your website in few minutes without any code. It comes with Isotope JS Gallery and Flickity JS Slider to flaunt your achievements and the Timetable Schedule helps your clients select their appointment slot. 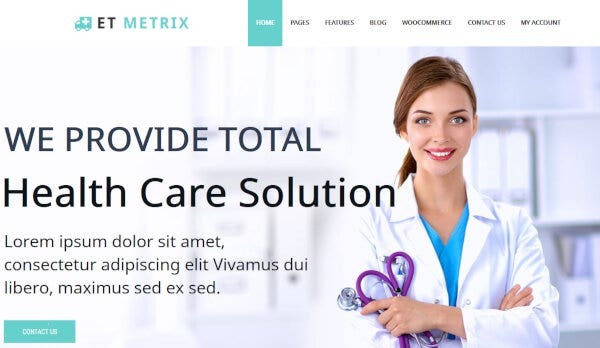 The design of this responsive WordPress Theme is tailored specifically for a therapist and physician. You get the choice of choosing the perfect homepage from pre-designed templates. The custom widgets, gallery, Price table and Career option can be placed with the help of easy shortcodes. The FontAwesome icons increase the visual appeal of your physiotherapy, chiropractor and doctor WordPress website because of the retina ready and responsive layout. The Theme Customizer comes with Custom Controls that build your website with unlimited colors. This theme supports translation plugins, Contact Form 7 and Yoast SEO. 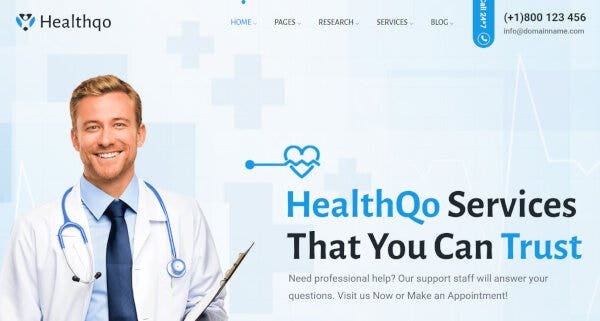 Physiotherapy provides all the latest features matching your requirements of customer connection with Contact Form, ease-of-accessibility with Back to Top Button, structured appearance with dropdown menu and visibility treat with Google Web Fonts and Google Maps. This physiotherapy practitioner and doctor theme also comes with Theme color switcher to customize the webpage appearance. 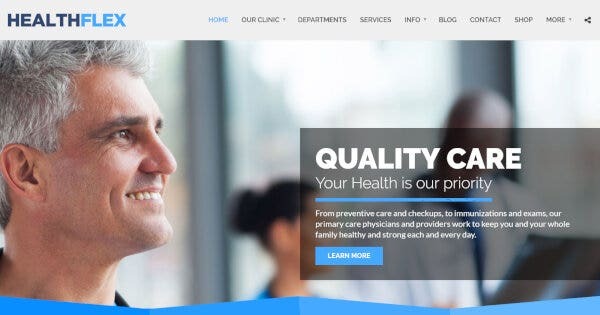 BeClinic, a modern WordPress theme, helps you trace the changes you make in the appearance without the use of codes, using Elementor Live Page Builder. Pages like Appointment, Contacts, About Us, Timetable and Departments are pre-designed for your ease-of-use. This responsive theme also provides powerful modules like Carousels, post Sliders and Brands. 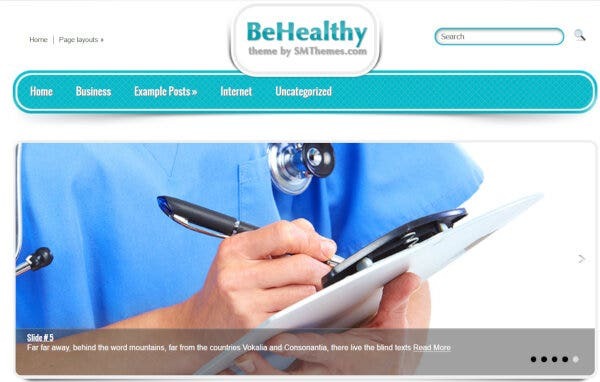 This theme is the ultimate choice for the physiotherapy or health category WordPress website. 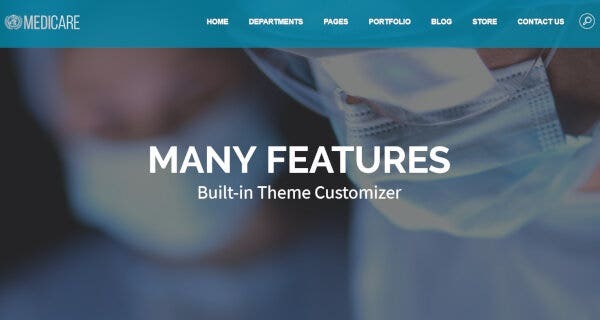 Select the perfect theme for medical clinic and customize its appearance with Visual Composer to suit your needs. It supports translation plugins and WooCommerce compatibility for ultimate user experience. This Bootstrap powered theme possesses a responsive and cross-browser compatible layout. 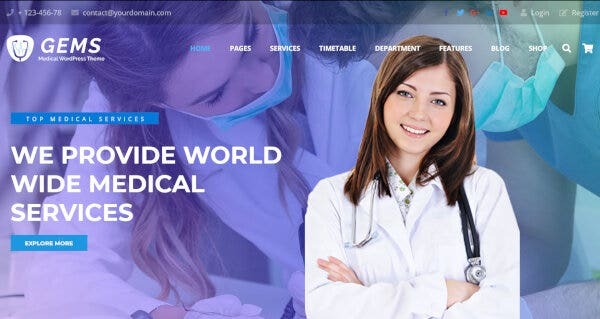 The time utilizing One-click demo content import makes Medical Health Care the most favored WordPress Theme for doctors and therapists. Visual Composer Page Builder builds your customized website with free add-ons and no coding knowledge. This theme provides a responsive layout along with WooCommerce integration and blog compatibility. 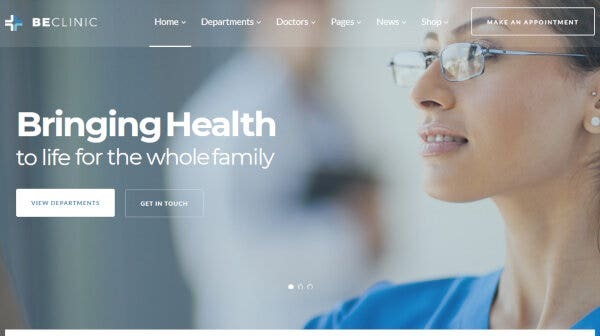 Medicare comes with a responsive WordPress theme, retina ready and completely customizable layout that features all the requirements of your clinic like Visiting hours (Timetable) and Online booking. You can also show the improvements made through your work by the special feature called “Before & After”. It comes with 500+ Google fonts and a cost estimator along with its responsive layout. 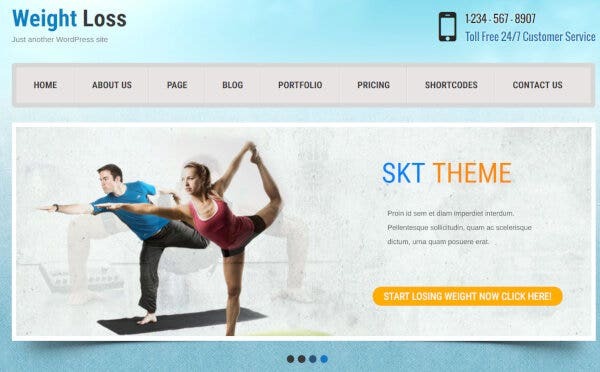 All the features you need of a swift and appealing yoga, health and fitness website – responsiveness, Google fonts, WooCommerce integration, Gallery, testimonials, Slider and Contact Form 7 – are provided by Bony. It caters to all the modern requirements with Latest WordPress compatibility and to help you establish global presence, multilingual plugins are also supported. This multipurpose theme allows you to import the entire demo content in just one click. SEO optimization helps in increasing your website ranking on search engines while you focus on building a customer base with the use of social media icons. 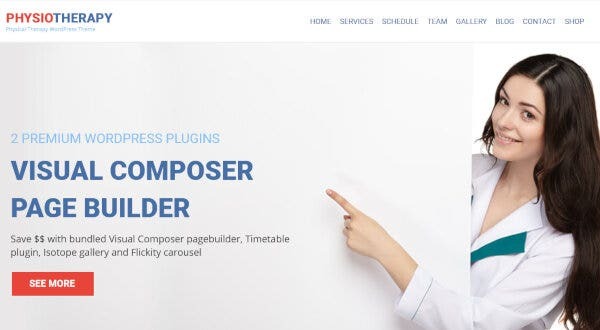 Visual Composer plugins are included for free so that our website can be built without any code. 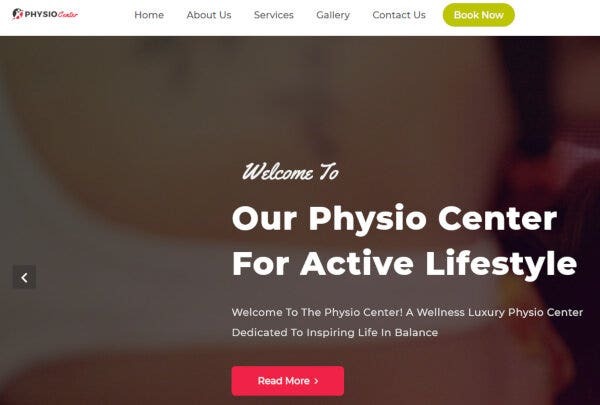 PhysioCenter provides custom templates to adjust the website appearance to suit our need. This theme for physiotherapy clinic websites is cross-browser compatible and gets regular updates to ensure smooth loading of your website. The Services Section tells your customers about our area of expertise and the Sliders could be used as a testimony for your work. Customers look for a Contact form, Appointment Booking, Reliability factor and location of the clinic. All these prime features are integrated in Handy. It is built over a clean and well documented code that sets up your website with shortcodes. This responsive and mobile friendly WordPress theme comes with multiple customization options. 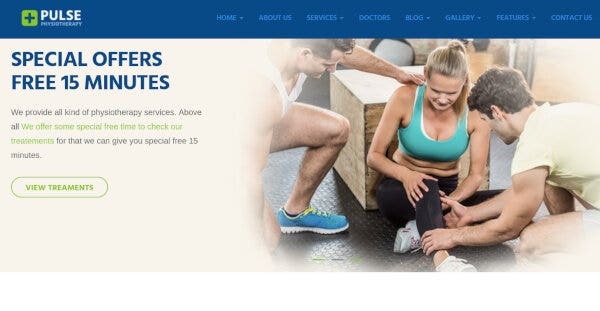 Crafted specifically for physiotherapists, PhysioTemple builds the perfect customer-appealing website, keeping in focus, the services you provide. To affirm your knowledge about the treatments, the Video section on the homepage could be used to display your work. The widgetized footer, multiple sliders and Custom menus are the prime characteristics of this theme. 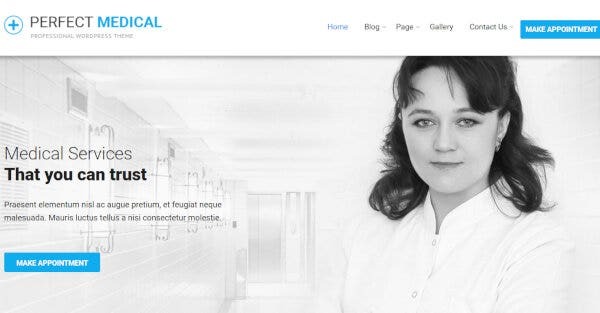 Out of the multiple themes that SKT Perfect offers, the medical WordPress theme is the most popular. The compatibility of multilingual plugins helps you break the online language barriers. With more than a hundred built-in shortcodes, you can customize the appearance of your website and place plugins as required. Medicare encompasses a wide range of page options making it suitable for many other industries. You can choose just the right content for your website from the pre-designed Contact pages and Webpages. It is highly SEO-optimized and provides built-in Newsletter Manager. ET Metrix features an article post format that gives your work information to the clients. The MegaMenu generator helps in building a structured layout for your website. The menu options can use Font Awesome icons and the header is optional with this theme. The custom CSS or JS codes are easy to customize. 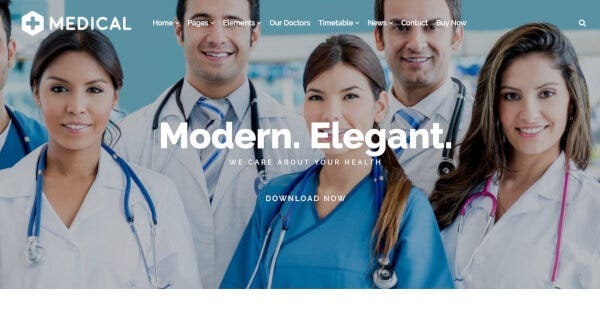 You can hardly find any WordPress medical blog website as customizable as Fitt because every element can change its color with the help of 100+ in-built shortcodes. 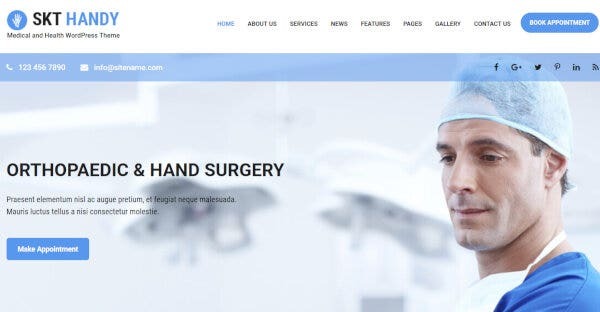 The homepage contains Portfolio and a Slider section which shows your successful patients and treatment procedures. Blogs that you write can be translated using multilingual plugins and with Social media icons, you can reach people worldwide. With the one-click demo content import, your website will be ready to launch in just few minutes. This responsive and retina ready theme caters to all your needs with the Drag and Drop Page Builder that customizes your webpage with no code and ultimate addons. The Slider Revolution flaunts the best of your work or availability details and Contact Form 7 can help your customers get in touch. BeHealthy comes with Ecwid compatibility to make your website eCommerce ready. This responsive theme includes shortcodes for Google Maps and multiple custom widgets along with translation options. It is SEO friendly with support for social media icons to build a strong customer base. 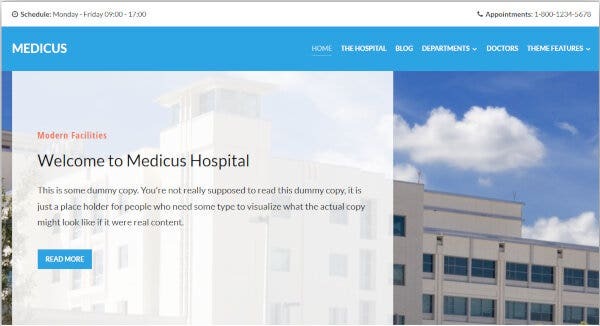 Medicus is responsive, retina ready and cross-browser compatible to ensure widespread reach. The Dynamic Homepage builder provides customization options using Visual Customizer that has multiple fonts and colors, to build your website. It is Gutenbrg ready with a SEO friendly code to help you build a strong website. Gems comes with the ultimate package consisting of WPBakery to customize your page with the ultimate addons, Slider Revolution for better image display, Instagram Feed for socializing and ConvertPlus. It comes with 100+ elements for improving the website performance like Accordion, Grid, Social links, Sharing Buttons and Round Chart. You get the option of choosing your perfect homepage and then customizing it with more than 20 subpages. The Header Style is also pre-designed in 3 types for you to choose from. With the empowering Admin panel, you an control every activity on your website. With every theme having its own attracting features, we hope you’ve found the right theme for your website.